Undergoing a remodel is a big thing to take on and doing it without the right guidance makes it even stressful. That’s why it’s important to find the right experts to help you throughout the entire process. If you try to understand all of the ins and outs of a remodel without any guidance, you can end up in a load of trouble and debt. If you are in the Miami area, the Kitchen and Decor Center may be exactly what you’re looking for. They provide exceptional kitchen design service as well as kitchen contractors to make sure that all aspects of your project are kept the same high standards. Having all of the team under one roof allows communication to stay open and flowing at all times. You never have to serve as the middle man between contractor and designer because they work for the same company. There are a lot of things that go into making a company the right choice to trust with your dream remodel. 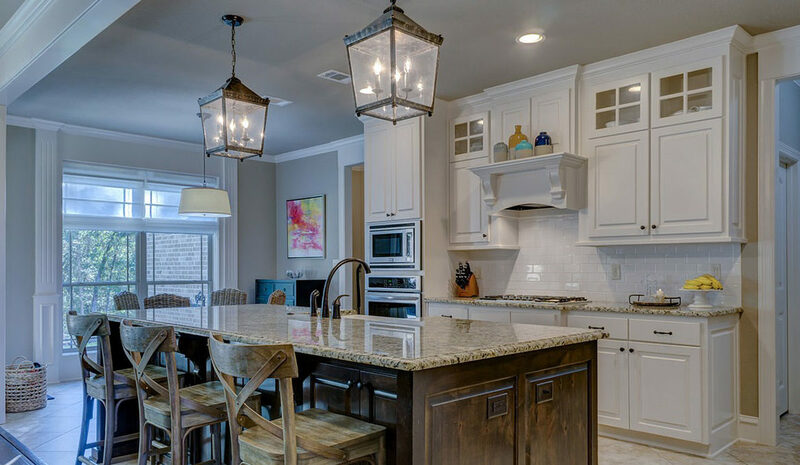 It usually takes people months, sometimes years, to commit to having a remodel done on their home so when you finally pull the trigger you want to make sure that you are choosing the best designer and kitchen contractors to help you through this journey! Here are just some reasons why Kitchen and Decor Center are the right choice! They are a family owned business. As a husband and wife team, this company is like another child. They pride themselves on working together to make their client’s vision a reality. Also, their children are involved too! Having this addition of family in their business creates an emotional tie to the company. They have been in business for over ten years, which proves that they have lived up to their reputation of providing the best service possible. They push themselves every day to live up to the mission that they want their clients to relax while they take on all aspects of the project. They don’t want the remodeling process to be stressful for clients. Being in the area that they are in there are a lot of non-English speakers, which is why they pride themselves on being bilingual. Having this benefit is great because clients do not have to feel worried or embarrassed if they don’t speak English well. They are still able to achieve the kitchen of their dreams with their native language. When they are planning out the project, they utilize the best 3D rendering software so the clients can visualize the proposed design. Having the proposal done in 3D allows the client to feel it come to life, because we all know what looks good on paper may not look as good when it comes to life. Their process will always start with a design consult, and then the contractors make their way into the space to see what parts of the project they need to handle and how they are going to handle them. If needed they have specialists and experts in a variety of areas that can come in at any time to help if needed. To them quality is everything, they make sure that every product they use and provide has a warranty in case something stops working or isn’t up to their clients’ standards. Finally, and probably the most important part to many is they guarantee that the project will be completed within the original timeline they give you. This is essential because one of the biggest reasons people shy away from having a remodel done is because of the likelihood that extensions will need to be given. The Kitchen and Decor Center in Miami is the leading provider of kitchen design service for the area’s residents. Not only do they have a team that can help bring your design to life, but they also have in house kitchen contractors that will help execute the plan set in place. Call or visit us today to find out how we can help you!